Visit SECOLOCATOR.COM to fi nd your local distributor and satisfy your machines' appetite for highly productive drilling. FEED THE BEAST. 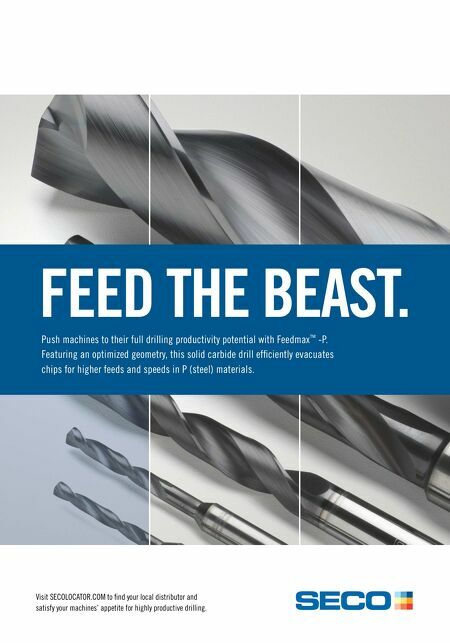 Push machines to their full drilling productivity potential with Feedmax ™ -P. Featuring an optimized geometry, this solid carbide drill effi ciently evacuates chips for higher feeds and speeds in P (steel) materials.